If you are no longer able to keep your pet, the SPCA of Western Quebec can help. We provide a caring, loving environment for all of our animals until they find their forever home - or more specifically, until it finds them. As a no-kill shelter, rest assured that your pet will remain with us until that special home is found. All adopters are required to fill out an adoption questionnaire prior to approval, to ensure that the right match exists between human and animal, resulting in a successful ending for everyone. The SPCA of Western Quebec covers various costs as part of the adoption program; such as vaccinations, spaying/neutering, deworming, and flea treatment. As such, any applicable fee for surrendering your animal to the shelter can vary depending on what is needed for your animal to be made available for adoption. Please give us a call at (819) 770-7722, or e-mail ahspca@storm.ca for additional information, and we'll be happy to assist you. If you have found a cat or dog and are not aware of who may own the animal, please contact the shelter at (819) 770-7722 and we will be happy to help you. 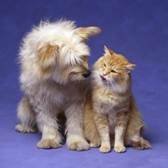 M4S microchips can be provided for your cat or dog at the cost of $40.00 per animal. Please contact the shelter should you require additional information on this service. The SPCA of Western Quebec offers boarding services for your dog, should you need to be away from home and unable to care for him or her. We do request that proof of up to date vaccinations (including bordetella) be provided at the time of your reservation, which should be done in advance to ensure available space for your animal. As well, you are encouraged to bring the animal's own food, treats, toys, etc. as they will help the dog feel more at home while with us. Our fees for boarding are $20.00 per day (or portion thereof) and $100.00 per week for dogs. For additional information, or to make a reservation for your animal, please contact the SPCA of Western Quebec at (819) 770-7722 or e-mail ahspca@storm.ca.